I decided to start off this month with a section in my etsy store for December birthstones. The traditional stone is blue topaz, but the alternate is Turquoise. 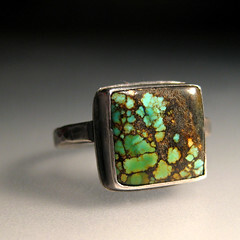 I really love mottled turquoise with lots of green. I have a section on etsy where I have all my turquoise and blue topaz listed. If you need a birthday gift this month, then you know where to go!